Below are a list of frequently asked questions about novalunch.ca. If you have any questions or concerns regarding our service or the use of this web site, please email us at info@novalunch.ca, we will respond as quickly as possible. Parents can register to establish a Nova Food account. Click on Join Now, located near the top right of the website. Complete the registration form with all the required information. You will be presented with your User ID. Please remember this User ID as it is required for you to login. You will also get a copy of this information emailed to you. Note: Please ensure that you're account has enough credits to place an order, as well as a minimum of 1 child location BEFORE placing an order. Click on Order Now, located at the top left side of the website. You will be presented with a calendar view of this month. Any dates that are available for you to order a lunch will be coloured white. Click on the date that you wish to place an order for, and a popup window will appear. 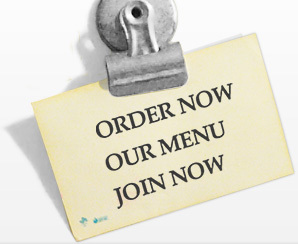 Choose the desired menu items that you wish to purchase and click on Submit Order once you are finished. Credits will be deducted immediately after your choose to submit your order. A summary of your order will be presented. A summary email will also be sent to you. . If you want to repeat the same order for another date: click [Duplicate Order] and click on the date you want to have it repeated. A summary of your order will be presented. A summary email will also be sent to you. Visit the main order page (by clicking on Order Now from the top left of the website). If you have more than 1 child delivery location, you will be prompted to choose the location that you wish to place an order for. You will be presented with a calendar view of this month. Any dates that have orders made will be coloured in dark green. Click on the date that contains the order that you wish to cancel. You will be presented with your current order details. At the bottom of this window, click on Cancel Order. Your order will be cancelled and credits will be refunded back to your account. You will be prompted to choose the child you wish to order for. Click [continue] below it. Click on the date that contains the order that you wish to repeat. Click [repeat] below and click on the dates that you want to repeat. You will also received an ‘order summary’ email for your new orders.